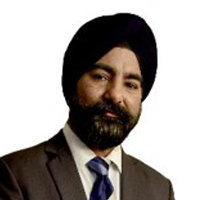 Vermillion Finalytics, a company which provides fund-raising & advisory services in Debt Capital Markets and Loan Syndication to mid-size corporate, has launched a platform for the development of SMEs in India. LoanXpress.com aims to be a one-stop solution for an efficient online credit delivery and credit analysis platform that provides business loans for SMEs. Started by Mr. Pratapsingh Nathani, LoanXpress.com is an online loan syndicator which has set up its office in Mumbai and would provide its services pan India. Businesses especially in SME / MSME segment which have a majority share in the Indian Economy seek credit on a regular basis. The avenues availing such credit are banks and the NBFCs. One of the key challenges faced by for SMEs / MSMEs is getting true feedback and candid advice after analysis of the company’s financials and to enable efficient credit delivery. Typically loan cycle takes minimum of 1-2 months in the current scenario which involves extensive documentation followed by query resolution from credit assessment perspective. Due to these set of reasons, SMEs / MSMEs, prefer to bank with single institution (of comfort) rather than going to multiple institutions to avail best possible financing option. The very fact that the process is paper based acts a big hindrance for SMEs / MSMEs to apply to multiple institutions. 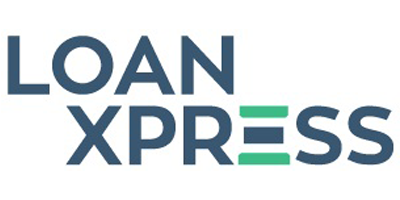 LoanXpress.com operates as an online platform that assists businesses in availing credit across 35+ types of loan categories to suit the business needs. The platform connects the borrower and the lender while Loanxpress.com plays a role of facilitator in assessing business needs, shortlisting of suitable products, and handholding from application for the loan to disbursement stage. In addition the customers are also well supported by ancillary business documentation such as CMA, Project Report etc. LoanXpress.com is a solution which aims in digitizing the credit delivery process comprising of wherein the businesses can apply for various loan products and upload the documents. Once the application is submitted on the supply side the participating banks / NBFCs on a real time view these documents and take a credit call based on the same. From a borrower’s perspective, the borrower can reach to multiple lenders in a single instance without physically approaching individual institution. This considerably reduces the TAT involved and in addition it helps attracting multiple offers. The lenders in turn can post online queries and seek speedy resolution with assistance from analysts of LoanXpress.com. Each lead / proposal is managed by respective analyst to act as a facilitator between borrower and lender. The system also helps in bridging the geographical challenges where a lender can connect to a borrower at a distance location. Going a step forward LoanXpress.com in its endeavour to provide a 360 degree appraisal of the proposal, will facilitate online KYC, CIBIL verification along with a detailed financial analysis for every proposal submitted to Banks / NBFC. In a nutshell, LoanXpress.com is poised to be a leading online platform with a much needed value addition in terms of credit expertise to seamlessly facilitate credit delivery to businesses digitally.